The adorable birch ply Play Kitchen Cupboard will be a brilliant addition to your budding little gourmet chef’s pretend kitchen. 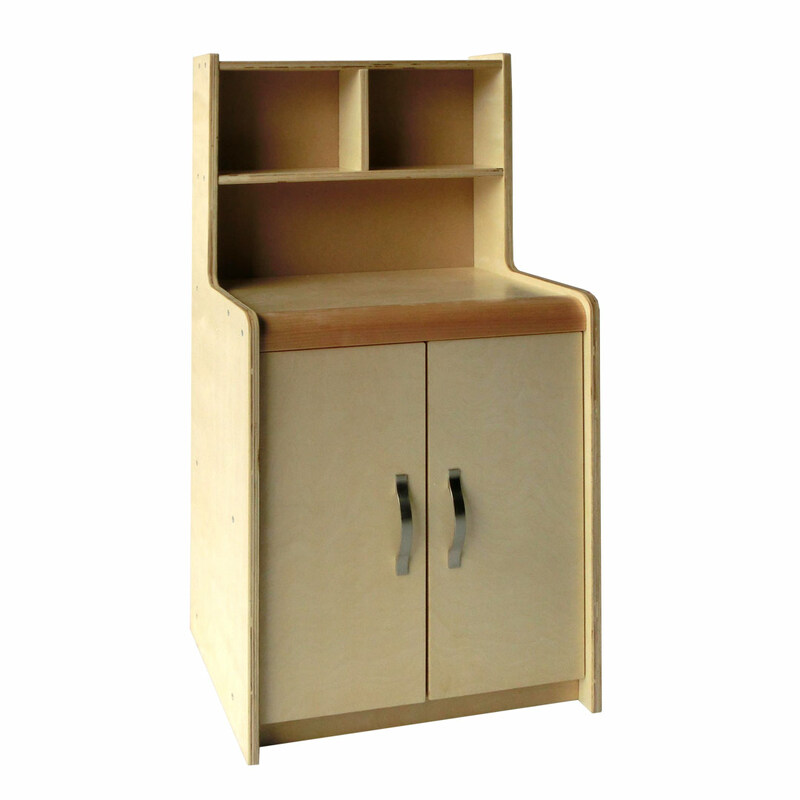 The Play Kitchen Cupboard is a stunning miniature piece of play furniture, complete with display shelves for kitchen toys and two doors opening to storage shelves inside. Your child’s imagination can run wild while learning through play with this awesome playroom addition. Complete the whole set by adding the Play Stove, Play Refrigerator and Laundry Room! This cute little cupboard is made from responsibly sourced birch plywood and made to last with sturdy construction. This product was created especially for toddlers with safety, durability and beauty in mind. It features protective corners and smooth edges coupled with moisture and stain resistant surfaces.